If you want to participate in this year’s Journey To Memphis competition for the chance to represent the Cascade Blues Association and the region at the 2020 International Blues Challenge in Memphis, you must submit your application packets no later than the end of the CBA monthly membership meeting on Wednesday, April 3. The meeting will be held at The Mission Theater. No late applications will be accepted. 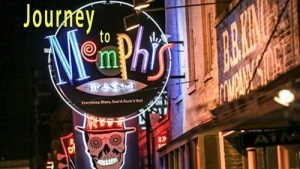 The Journey To Memphis competition consists of two rounds. The opening round will be held this year on Friday, May 10 and Saturday, May 11 at The East Portland Eagles Lodge. Acts are scored by a trio of judges selected for their backgrounds and knowledge of the blues. 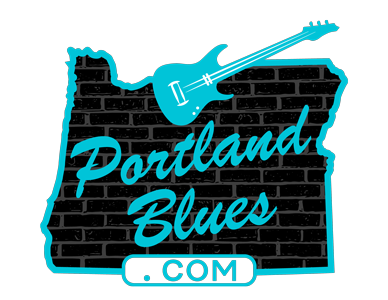 The highest scoring acts from each night of competition (up to four acts) will advance to the finals held at the Waterfront Blues Festival on the Fourth of July. Only acts located within Oregon or Washington states are allowed to enter the Journey To Memphis. Any act or member of an act that has been nominated for or received a Blues Music Awards from The Blues Foundation are ineligible to compete — no exceptions. Any act that has competed in the International Blues Challenge two consecutive years, regardless whether with the same society or as a solo/duo or band act, must sit out a year before being allowed to compete again. Acts can only participate three times in Memphis (acts competing previous to 2017 will be grandfathered and may compete three times starting from 2017). Along with your $25.00 application fee, send an up-to-date band bio including names of all members, a 300 dpi photo of the band, full song samples of the band’s music (this may be used on a radio broadcast to promote the event), and we need to be made aware of any band member who may be under 21 years of age at the time of the competition so the venue is aware ahead of time for Oregon Liquor Commission laws. We require that any act that moves forward in the competition must use the same band members with whom they won previous rounds. In other words, if you won with a certain bass player or drummer at the Waterfront Blues Festival, that bassist and drummer must be in your band to compete in Memphis. Exceptions will made in rare circumstances, such as health issues.